Camping is a great way to explore and discover. It gives you freedom, you can move from place to place, and with today’s modern camp-sites you can enjoy the fun of camping with the added bonus of up to date conveniences. Gone are the days of cold showers and sodden toilets; camping in the twenty first century is all about the enjoyment of it, with none of the nasty bits of days gone by. So whether it’s a tent or a caravan, going camping with the family is a must – and going camping in Northern France where the campsites are some of the best in the world could well be the pinnacle of your holiday plans. This list of top 5 camp-sites in France will help you plan your caravan or camper van break. This campsite is beautiful – there’s no two ways about that. Set in the gorgeous grounds of a 16th century chateau, this campsite is not only attractive, but it’s full of things to do too. A converted barn serves as the bar and restaurant, and the numerous pools contain waterslides, fountains, and even a lazy river (although there are standard pools too if you prefer your swimming simple). There are three fishing lakes which can also be used for boating, and a full 18 hole golf course for those who want to keep their hand in. Along with a variety of sports and horse riding, the Domaine des Ormes campsite near St Malo is a wonderful place to stay in. Situated in a conifer lined valley, Camping La Pointe is a safe and secure campsite whose owners treat all their guests as friends. Each pitch is large, and separated from the next by well cared for hedges, so you have your own little piece of land to enjoy for as long as you stay. On site there is a canal to walk or cycle along, and you can hire barbecues should you want to. There is even a kitchen garden that provides essentials including eggs. Found right on the coast, Domaine La Yole is an extensive campsite that offers everything you could possibly need to make your break away a good one. Choose from a lodge motorhome or tent, and enjoy the facilities on offer. They include a huge wine cellar with an extensive selection of great wines (you can even taste wines and visit local vineyards too), and you can take part in dance shows, sports tournaments, and performances too – or you can just sit back and watch! A children’s playground and outdoor tropical swimming paradise complete the adventure. This lovely little campsite is the perfect place for families to camp together. Within walking distance of the beautiful Brittany beaches, utilising a gorgeous cliff top path, or a longer, drivable road depending on weather and who will be with you, and within easy reach of the nearby town with its facilities and restaurants, this is the freedom you’ve been looking for. Simple yet clean and tidy with everything on your doorstep, use the Le Châtelet Campsite as a great base for exploring northern France. Set in a country park near to the famous Carnac Standing Stones, there are excellent facilities at La Grande Métairie. With a superb and fun pool (including lazy river), this is a great place to take the whole family. It is close enough to the town of Carnac to allow for some great days out to visit the many museums, shops, markets, beaches, and restaurants there. 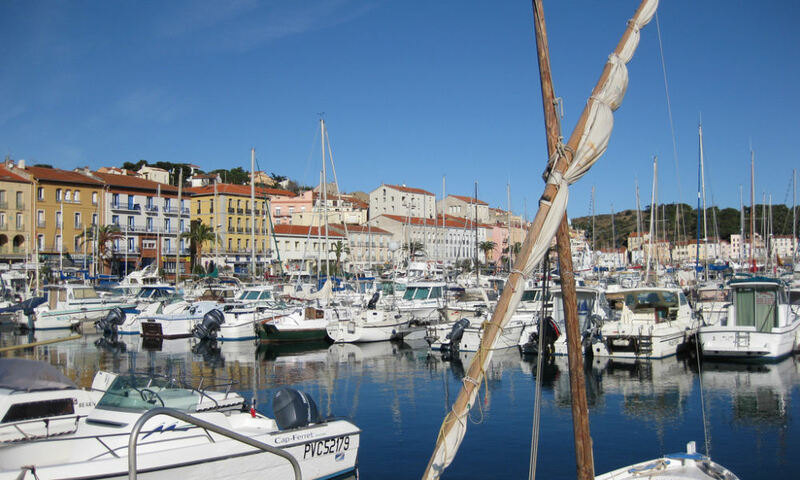 Find out how to sail to France.